We’ve had our first letdown on our old island farm. And it came in the form of a disease called “late blight”. Sadly, once infected, the affected plants (in our case, tomatoes) are essentially doomed and destroying these plants is the only hope of preventing it from spreading to other plants. 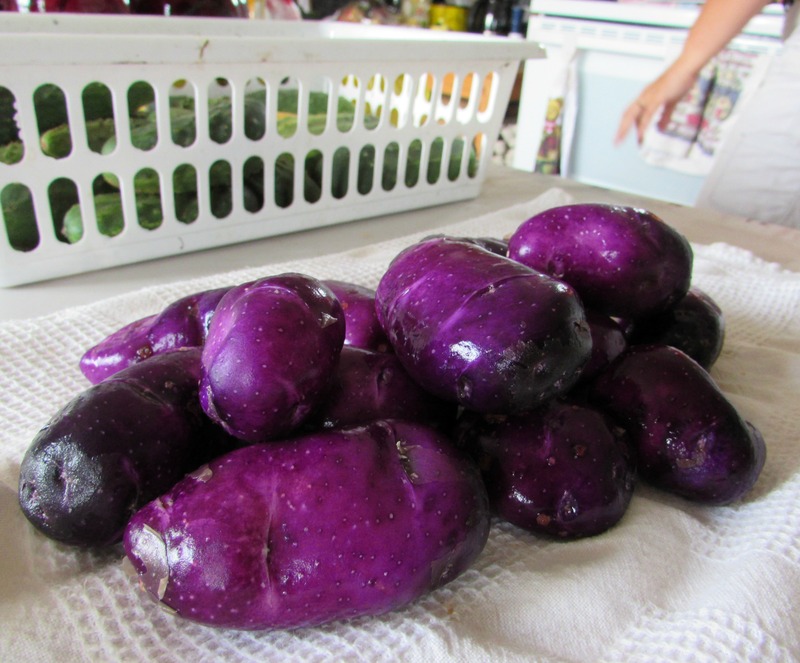 This disease is famous as the cause of the Irish potato famine in the 1800’s. 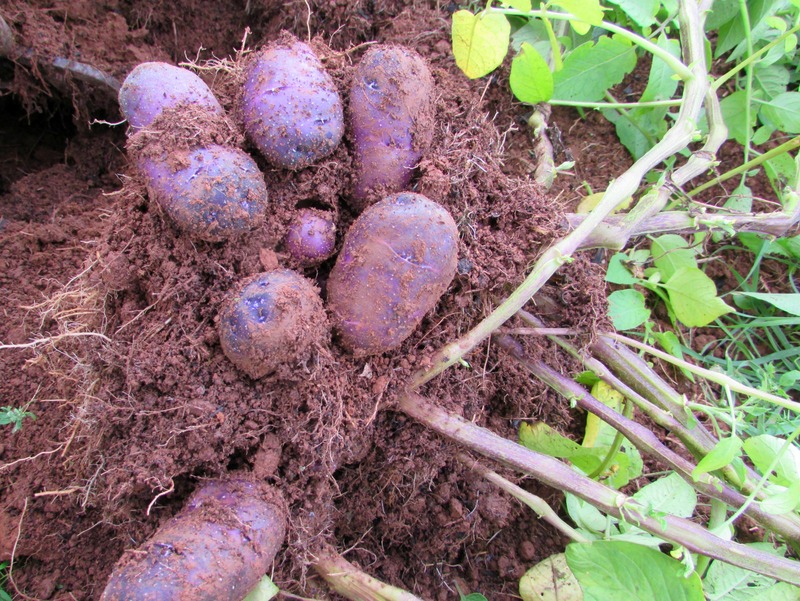 Phytophthora infestans is not a fungus or a bacterium or a virus. It belongs to a group of organisms called “protists”, although they are still commonly referred to as “fungi”. 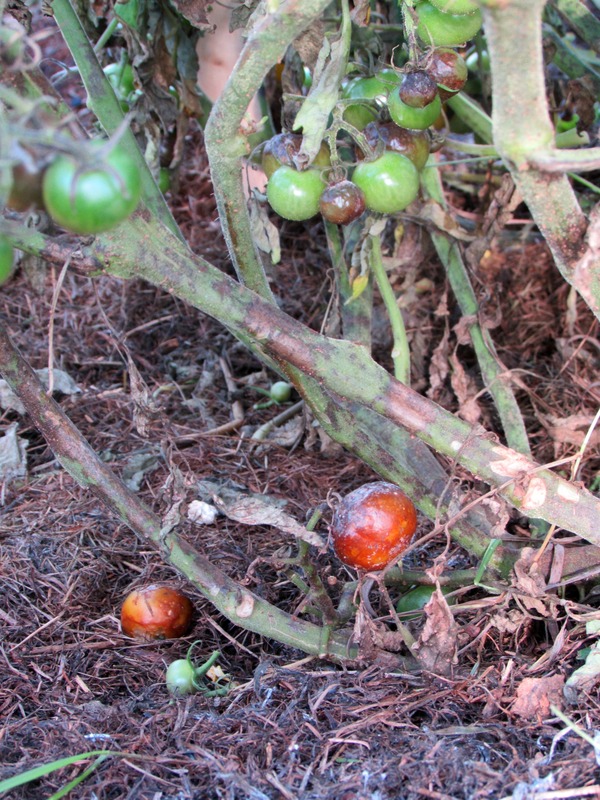 On tomato, the first symptom on plants is often a brown/black lesion on the stem. Leaves develop large brown/black blotches, often starting at leaf margins. In humid weather and in early mornings, a fuzzy mould can often be seen on the underside of the brown/black blotches or on the stem lesions. 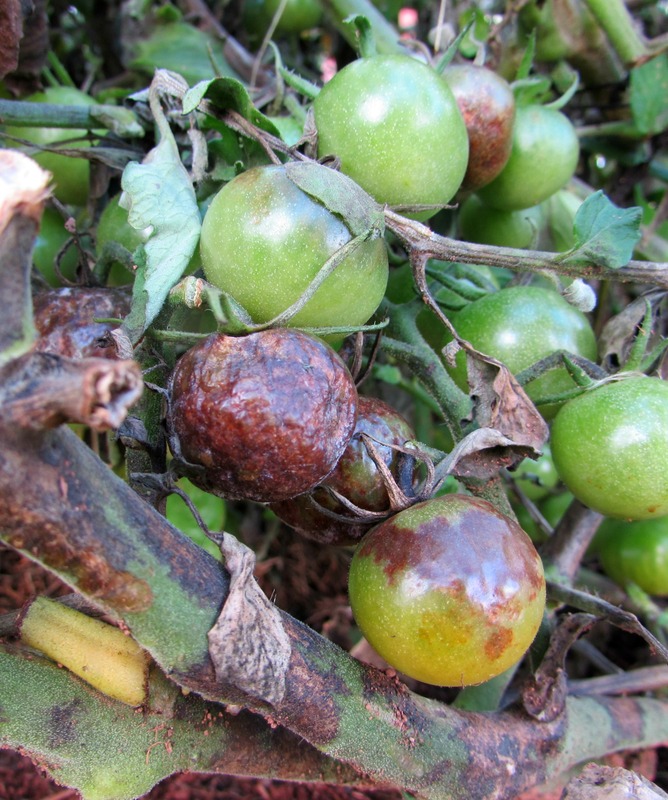 On tomato fruit, infection causes a brown/black, leathery rot. It may also become soft and mushy if invaded by secondary organisms. In cool, wet or humid weather the pathogen produces structures called “sporangia”. These sporangia can travel up to 20 kilometers in wind or wind-blown rain. 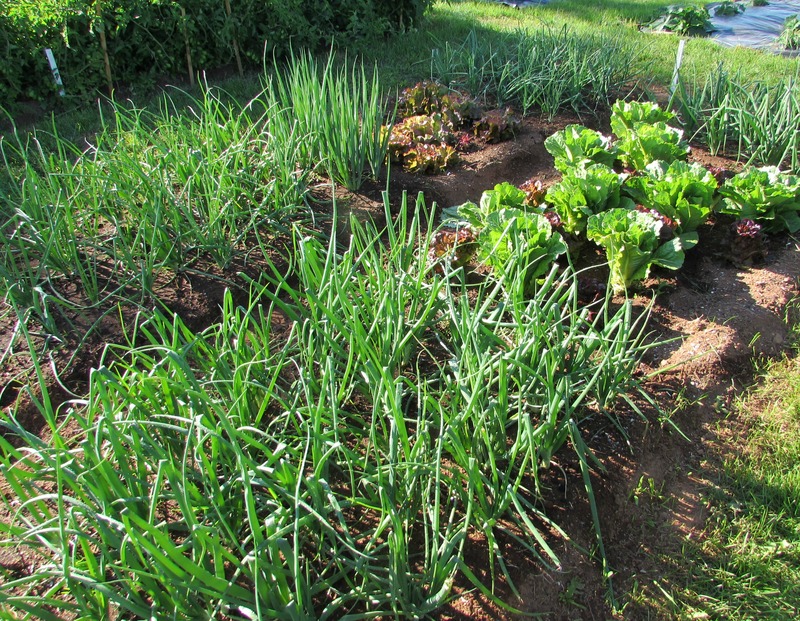 Rain-spread sporangia can cause infection even in a garden where tomatoes or potatoes have not been grown before. 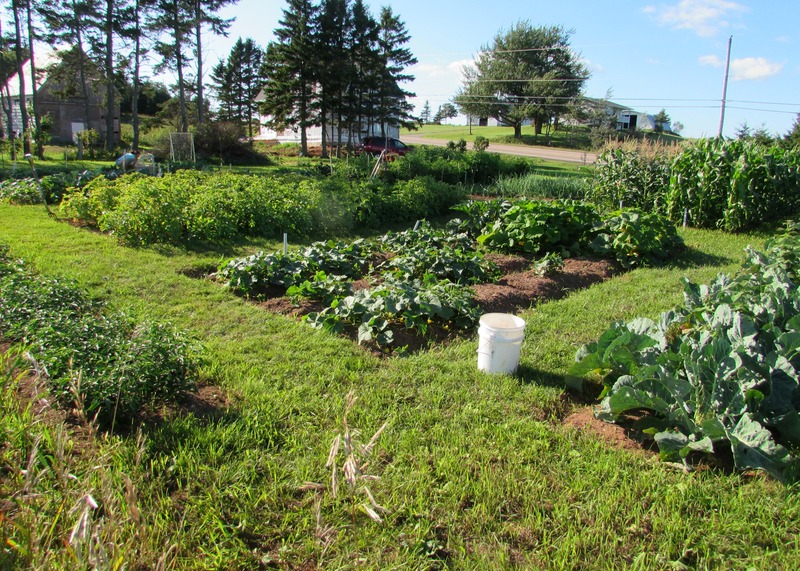 Potatoes are also very susceptible to late blight – hence the cause for concern when it is detected here in Prince Edward Island. Fortunately, our potatoes seem to have come away unscathed. We’ve been enjoying new potatoes daily for a couple of weeks and we’re ready for our big harvest for cold-storage this weekend. 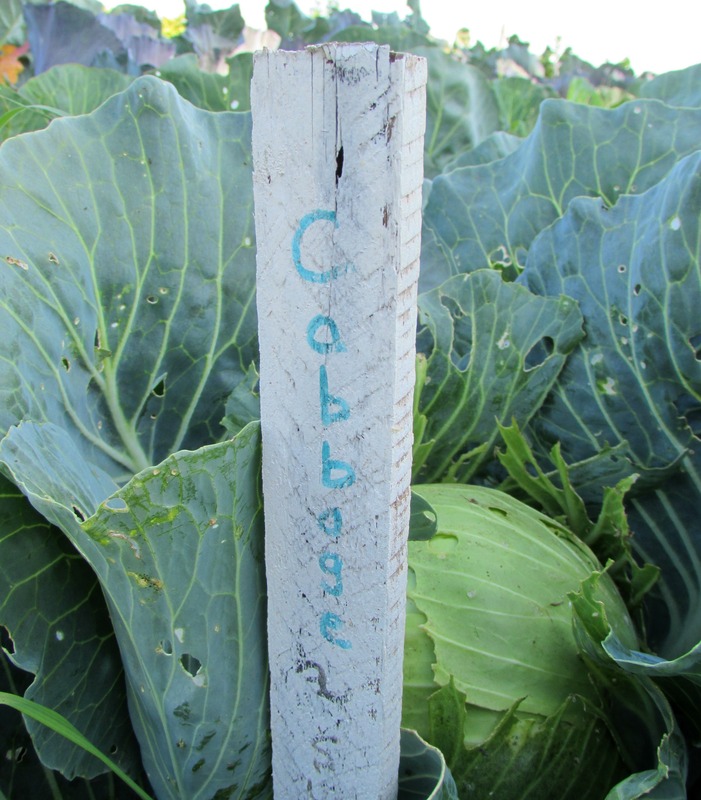 We first heard of a blight-outbreak in our area on the local news. 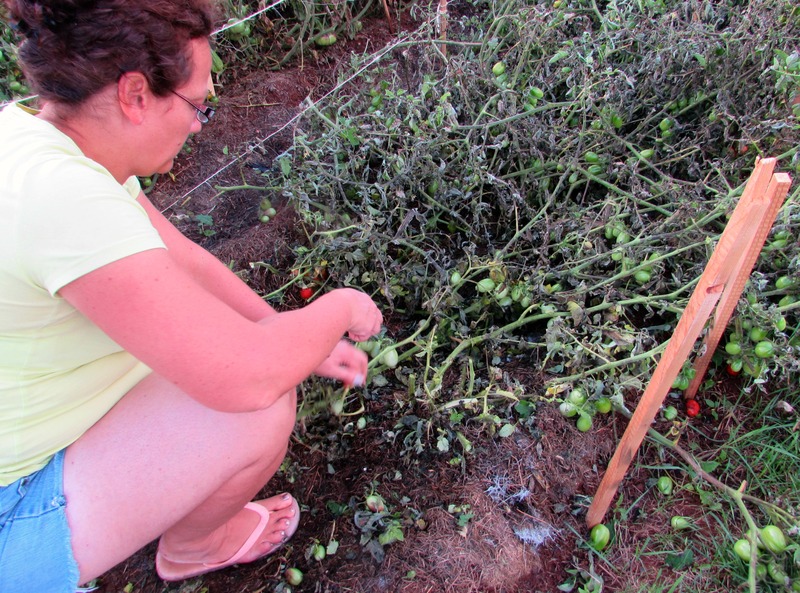 It was just a few days later when we started seeing the signs of infection on our own tomatoes. And once it started, everything went downhill quickly. With the onset of the disease, we moved to remove the plants and bag them for disposal. It’s strongly recommended that you NOT compost the affected plants as the organisms may not die in the composting process. 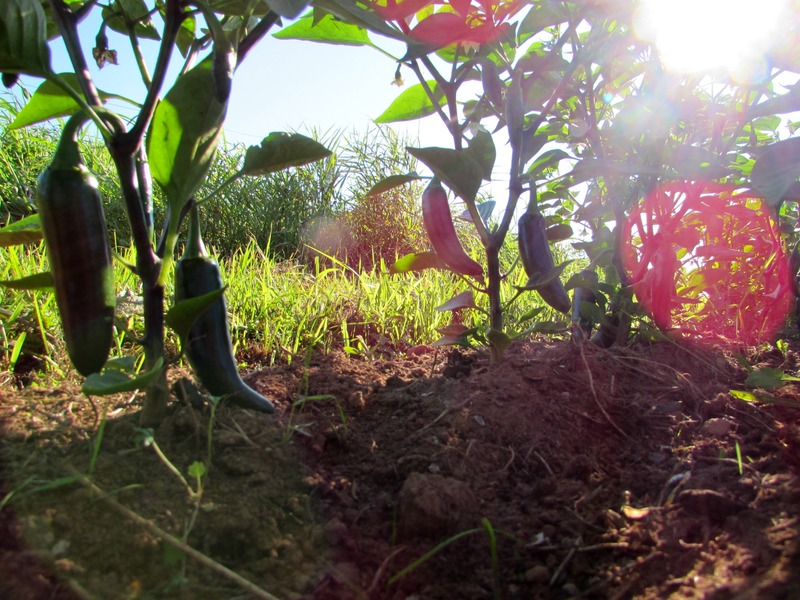 Burying, burning or sending the plants to the landfill is the best way to rid your garden of the active problem. 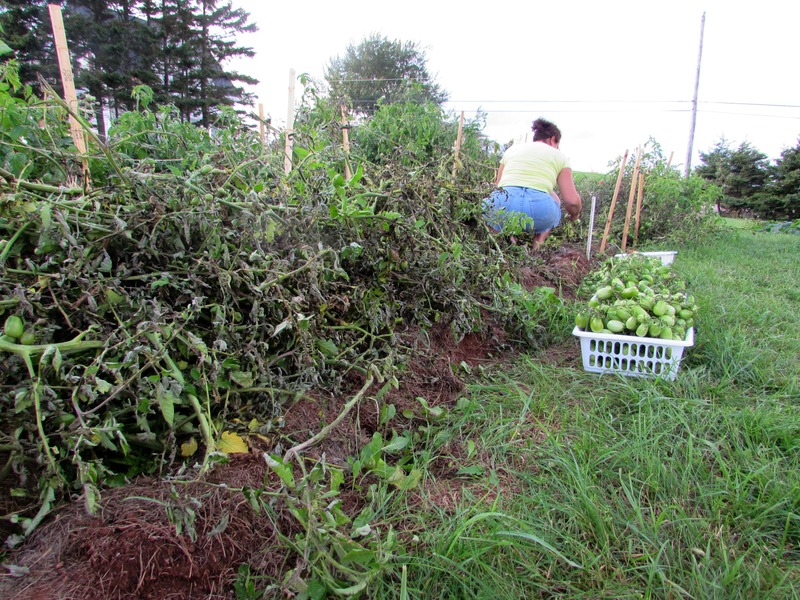 Although the plants were dying, we could still use the green tomatoes if we acted quickly. 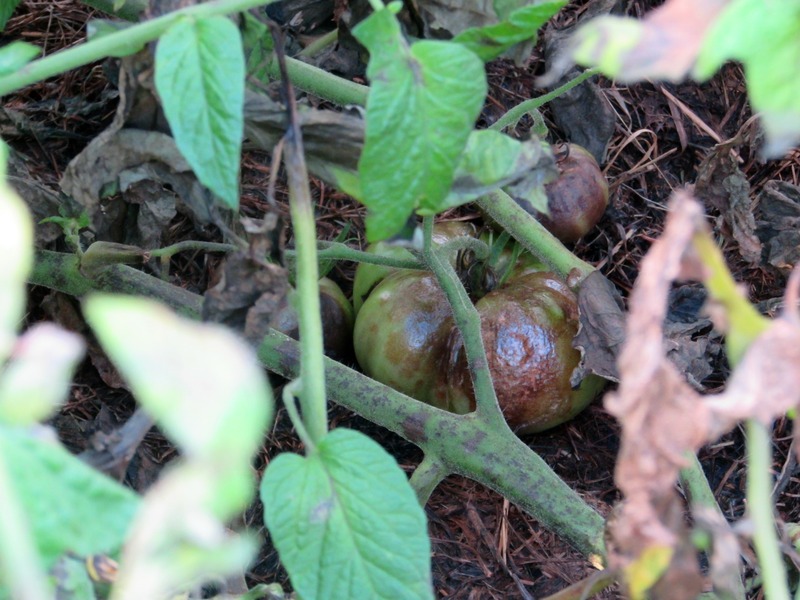 Often with late blight, even green tomatoes brought in the house to ripen may still rot anyway. 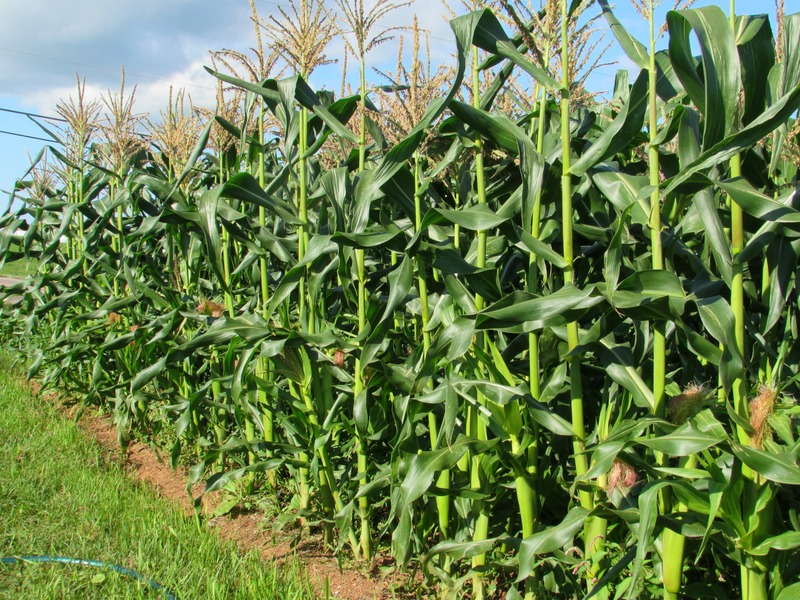 In wet weather, green fruit may have been infected already, or be carrying spores on the surface. As the fruit ripens, rot develops. 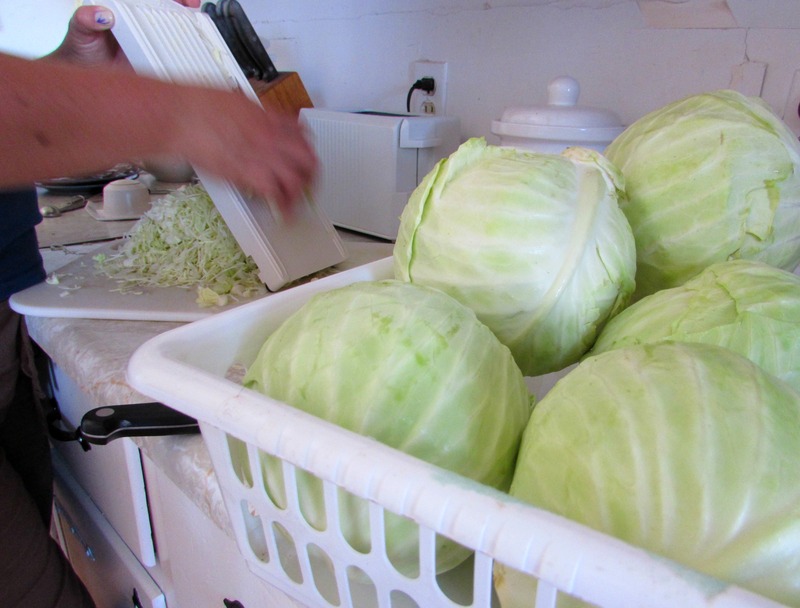 Some gardeners report that washing green fruit in soap and water after picking, or dipping green fruit in a 10% bleach solution (1 part household bleach to 9 parts water) followed by a soap and water wash, reduces fruit rot during ripening. 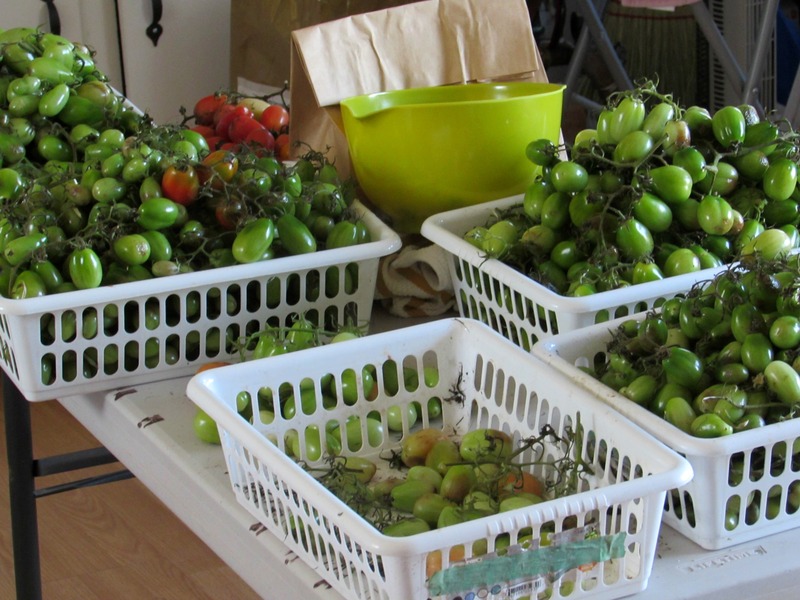 We didn’t take any special measures to allow the tomatoes to ripen – so we did lose quite a lot to rot, but we still enjoyed a few fresh tomato sandwiches in the meantime. So with the glut of green tomatoes, we spent a couple of days making a few different preserves – Salsa Verde, Green Tomato and Pineapple Chutney and Piccalilli. I’ll be sharing some of these ideas in future posts, but today, it’s all about Green Tomato Chow. On Prince Edward Island, these firm, under-ripe green tomatoes are transformed into a tangy-sweet condiment that is often served alongside salt cod cakes. 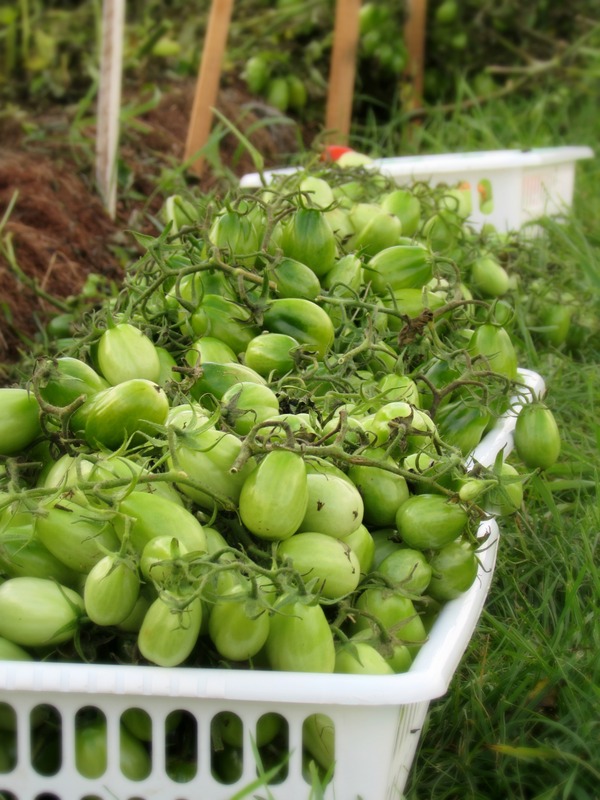 I’ve had Green Tomato Chow (or Chow Chow, or Yum Yum, depending on your upbringing) on a couple of occasions since moving to the island. Most recently with crab cakes from the Blue Mussel Cafe in North Rustico. Think of it as a relish, to be served alongside seafood, pork, sausages or even hamburgers. 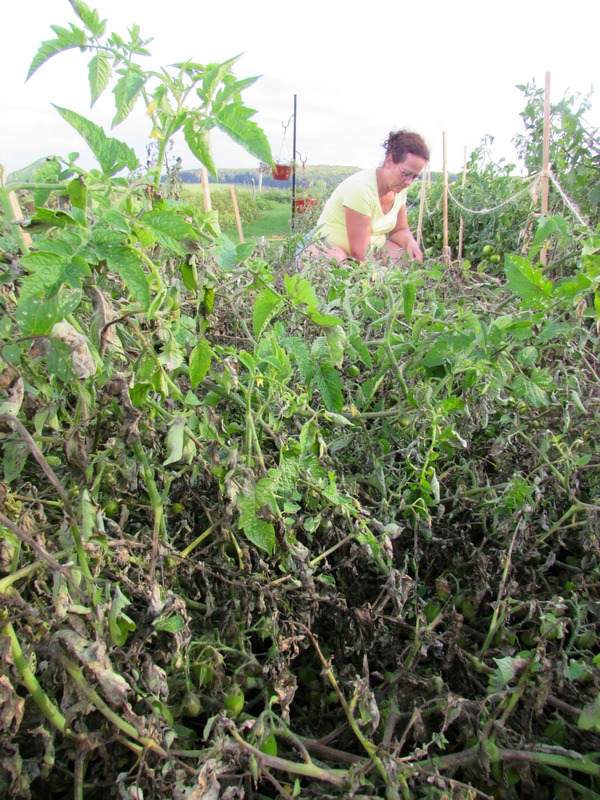 At any rate, it’s a great way to use up some of your end-of-season green tomatoes – whether by choice or by….blight. Green tomatoes, sliced – 5-1/2 lbs. Onions, halved and sliced – 1-1/2 lbs. Layer tomatoes and onion with salt in large pot. Cover and let stand on counter overnight. Drain. Add the following ingredients to the tomato mixture in pot. Heat and stir until sugar dissolves. 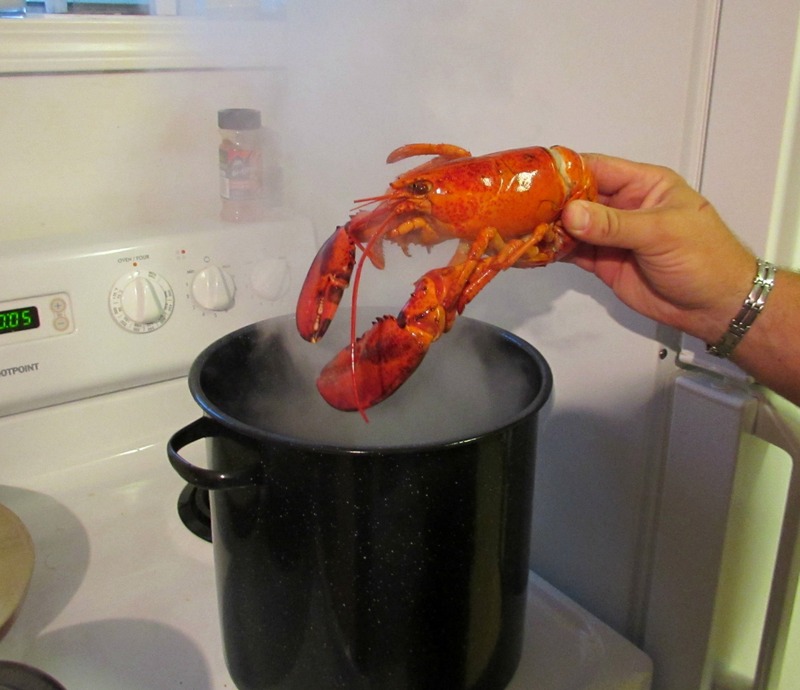 Bring to a boil then reduce to simmer for two hours, stirring occasionally. More turmeric can be added for color and more sugar can be added for taste. 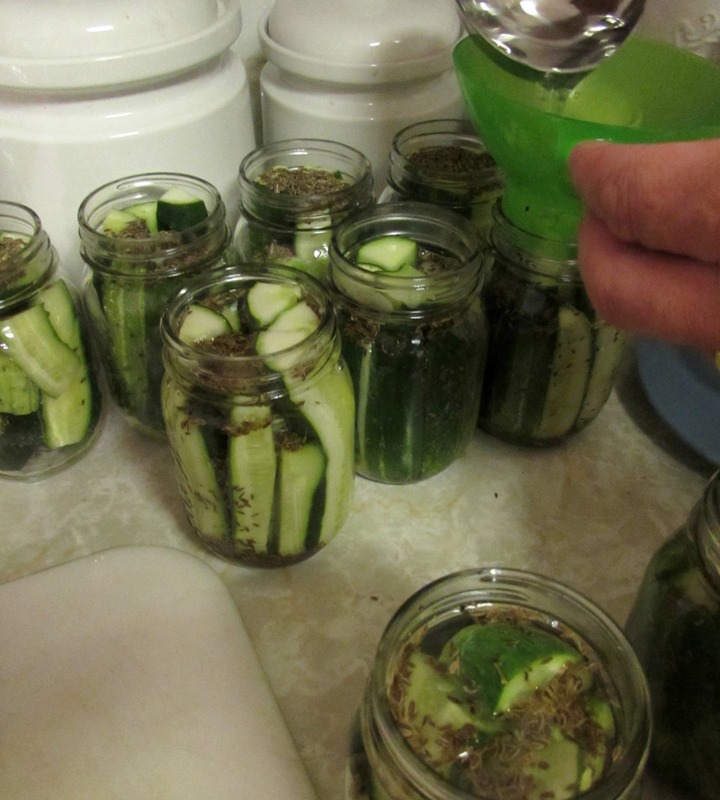 For canning, pour into hot sterilized jars leaving 1/4″ headspace. Seal and process for 10 minutes in hot water bath. Makes about 4 pints. So not all was lost. Although our first season growing a variety of tomatoes was a bit of a bust, we have learned a lot. We lost about 90% of the tomatoes we planted. 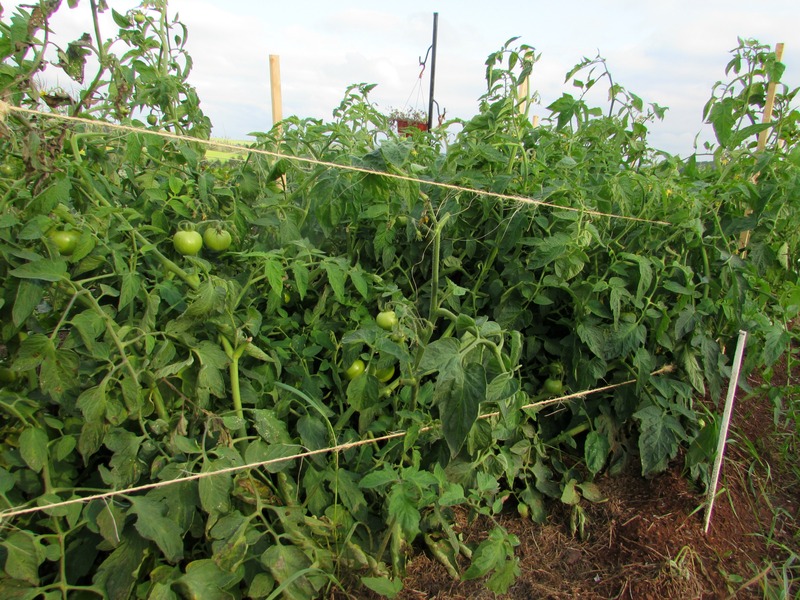 One variety we chose is labelled as blight-resistant, and these “Mountain Merit” tomatoes are chugging along nicely in their beds. So it seems we’ll still be enjoying some red tomatoes after all. 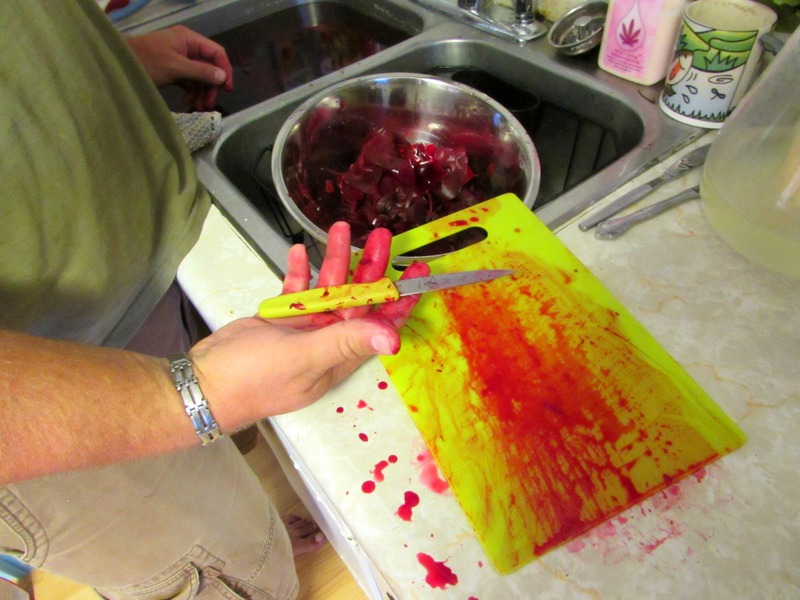 This Chow recipe was inspired by “Company’s Coming – Preserves” by Jean Pare. I know it’s been a while. A lot has happened. It’s said: “great things are believed of those who are absent.” If that’s indeed true, I hope I don’t let you down. It has been a great few weeks since my last post. A lot of things have happened to us and through us. 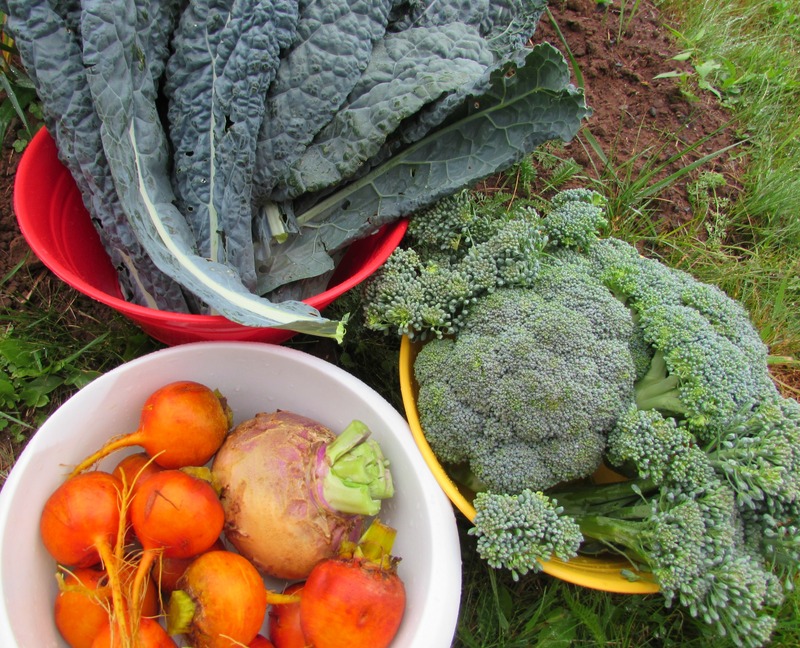 We’ve had a great time visiting with family and enjoying the bounty that’s come from our garden. 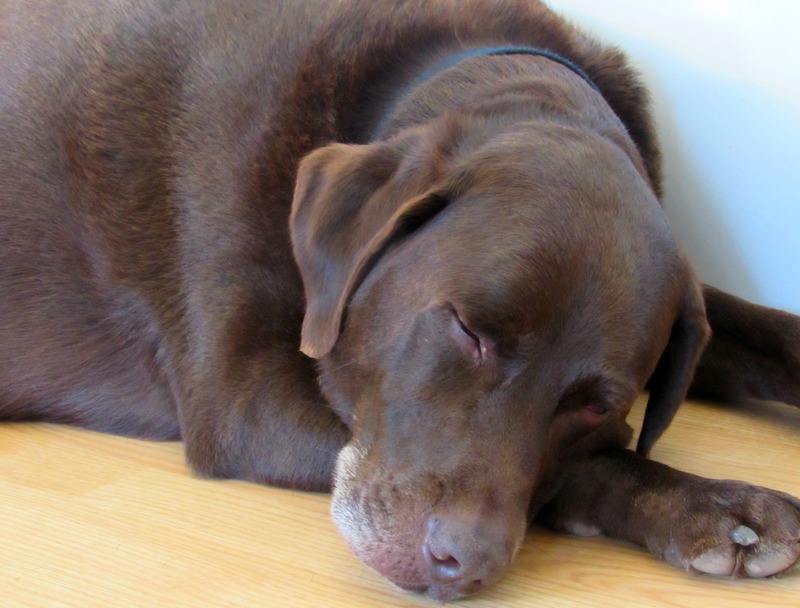 My last post spoke of the busy couple of weeks getting the house ready leading up to our vacation. I won’t revisit that, but suffice to say, we enjoyed our little trip to Ontario. 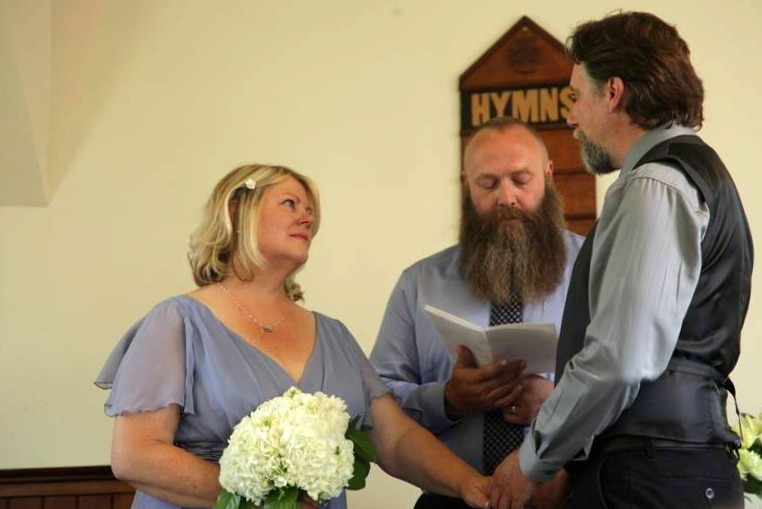 Not that is was solely for our amusement – my brother Scott and his fiance Dawn were married. 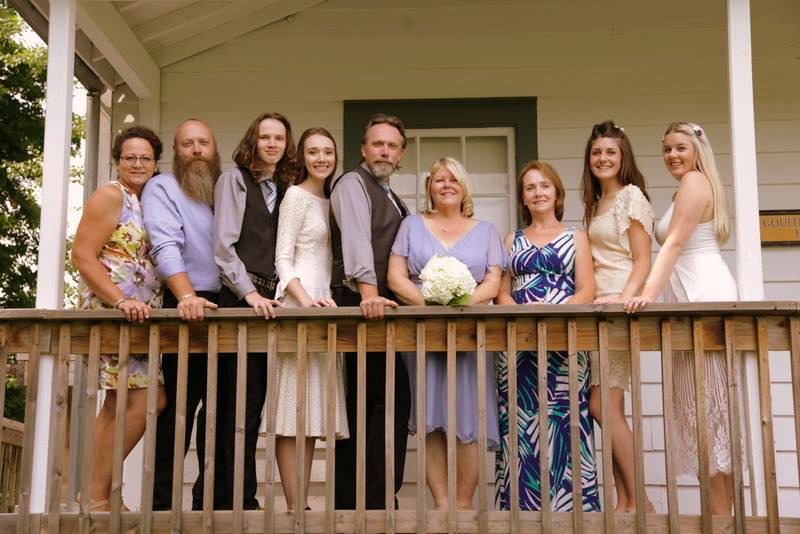 That in itself was reason enough for us to drop everything and head back, but the honor was mine when I was asked to perform their wedding ceremony – to the surprise of everyone in attendance. It was a beautiful day spent with family and friends. While in Ontario though, we had a little scare. I ended up in the hospital with a blood clot in my leg. As the doctor said however, I got lucky. 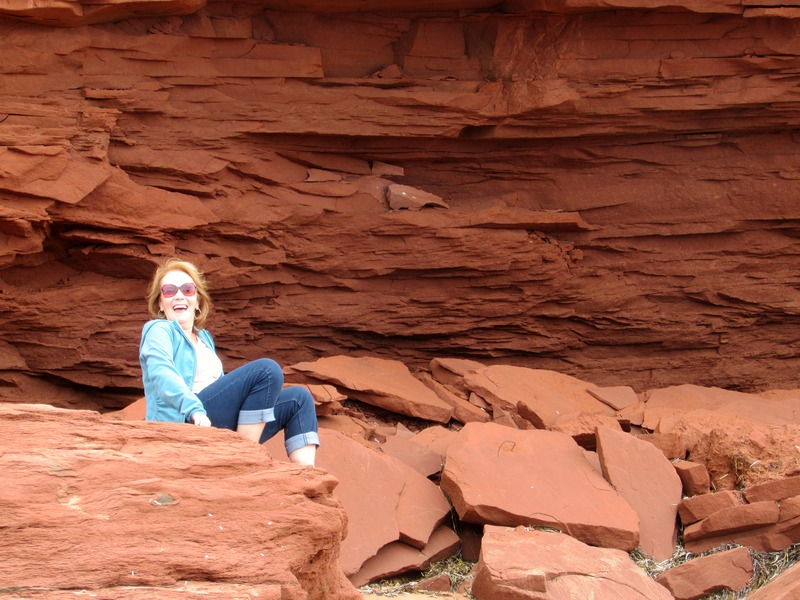 The clot was in an arterial vein and I wasn’t at risk of it moving to my heart or lungs – so I was sent on my way with blood thinners to enjoy the rest of the vacation. 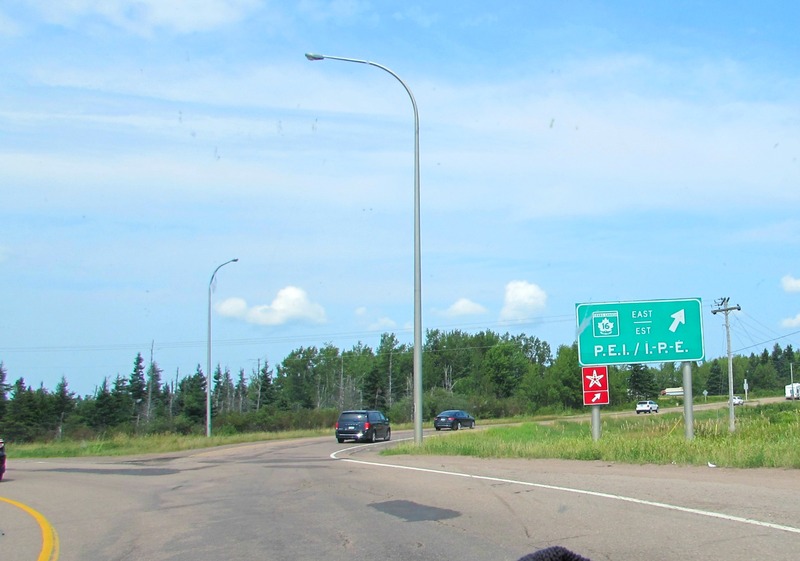 Once the newlyweds were married, we all convoyed back to PEI for a “familymoon”. Scott and Dawn, Scott’s kids Carrie and Ryan, one of Dawn’s daughters, Jordan and her husband Christian, and my Mom spent the week with us to see the life we’ve been making for ourselves. 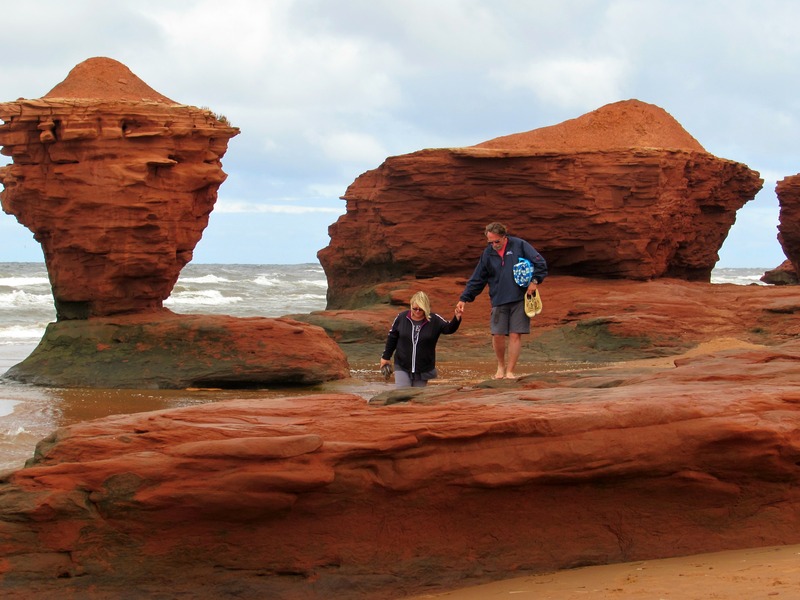 We did some of the usual touristy stuff – went to the beach (several times), ate some lobster and visited the sights and scenes. It was hard to see the family leave after only a week here, but we had a tremendous time together. Vanessa and I weren’t done with the vacation just yet, though. 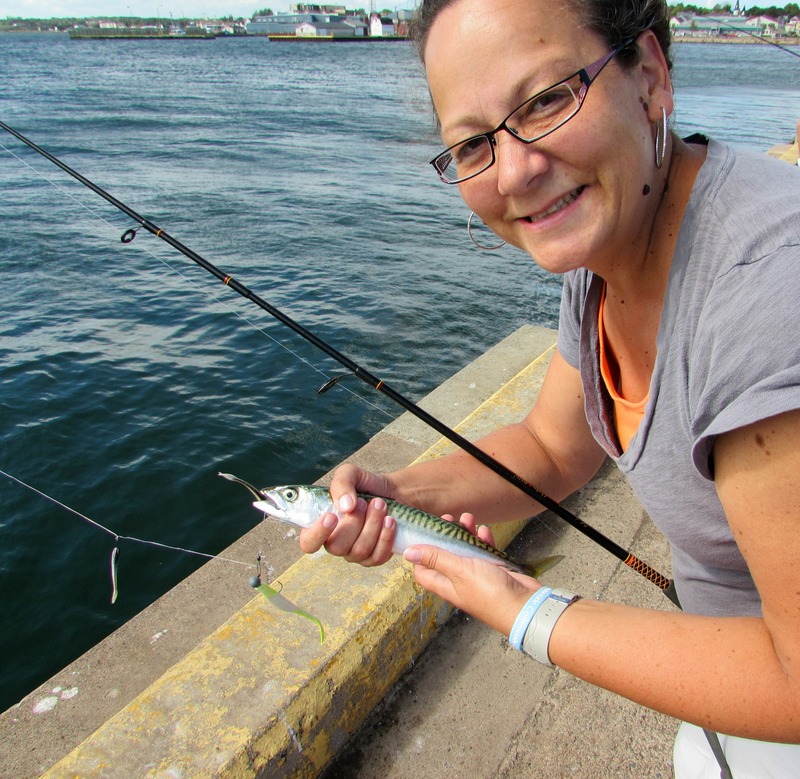 We’ve been mackerel fishing now a couple of times. I want to take advantage of this as much as we can while the summer is here. 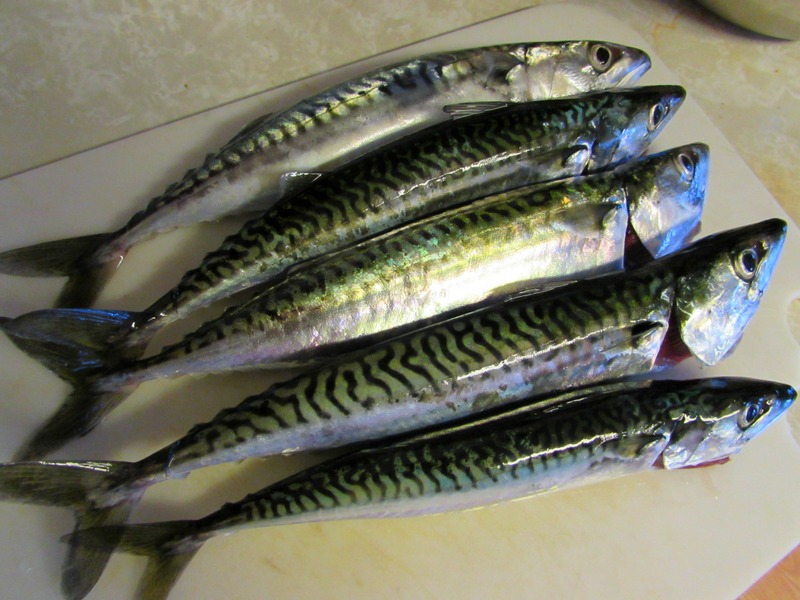 There is no catch-limit or license required to catch mackerel here – so while we’re able, we’ll be stocking our freezer with these freebies. And speaking of freebies, our garden just keeps giving and giving. 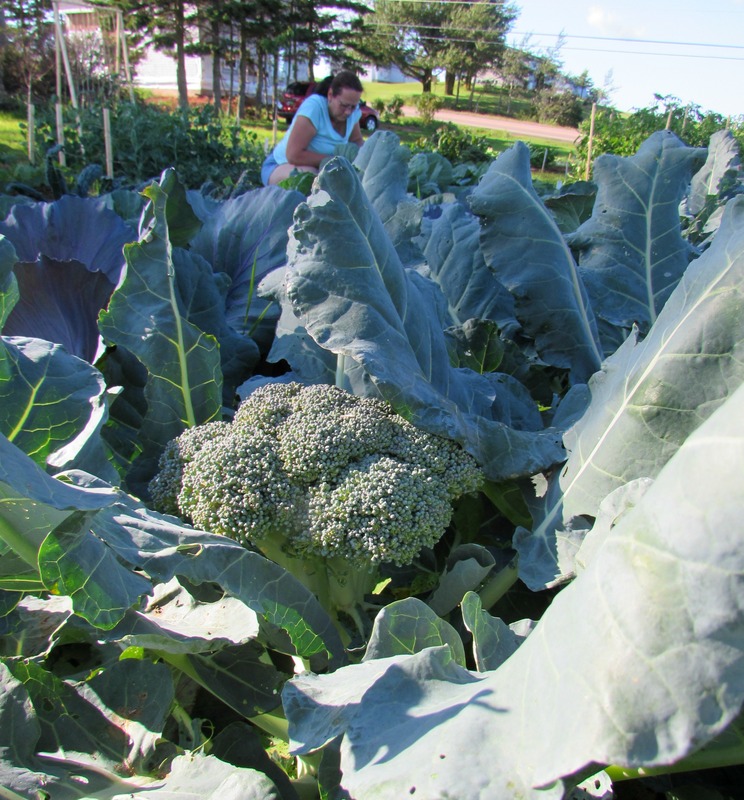 While our guests were here, we enjoyed produce picked daily from the garden – including broccoli, lettuce, beets, new potatoes and zucchini. 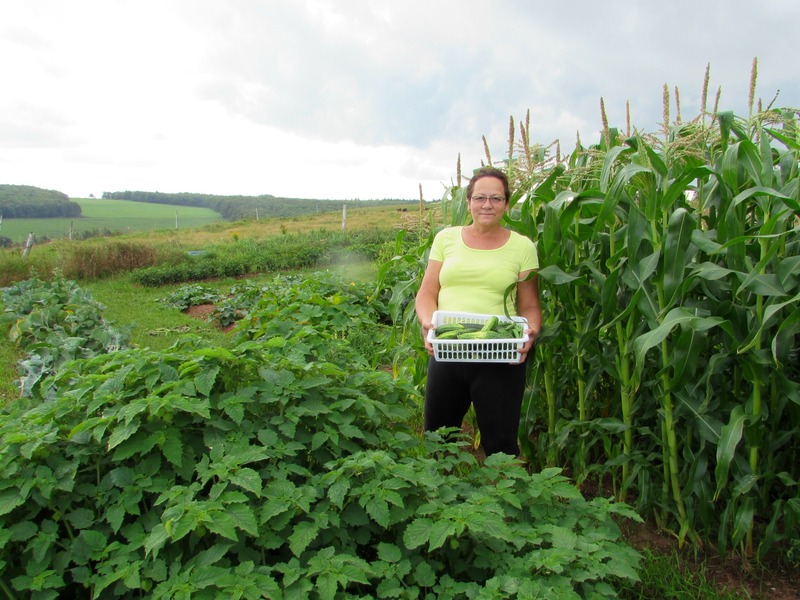 Since our visitors left, the tomatoes are turning, the beans are almost ready and the corn is almost there. We haven’t bought any produce – other than some fruit – in about a month. 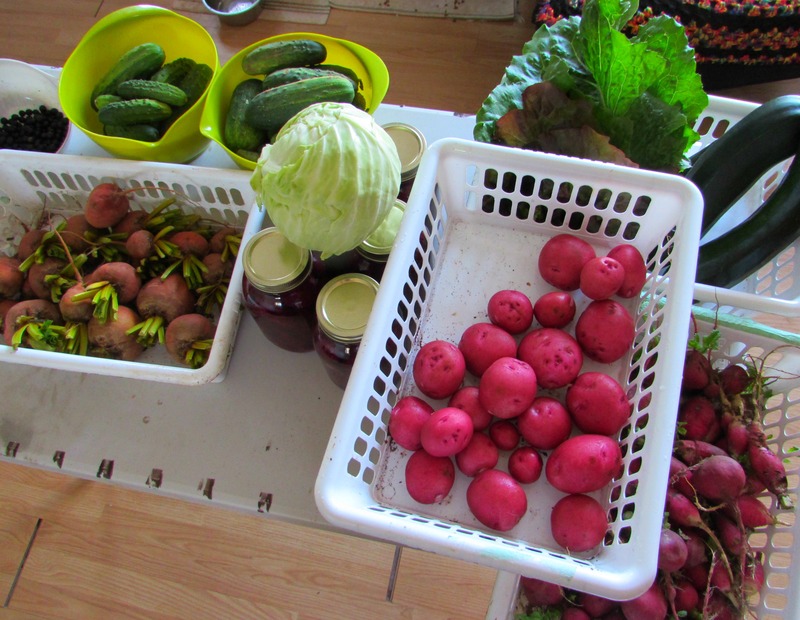 What we haven’t been able to eat fresh, we’ve been canning or freezing. 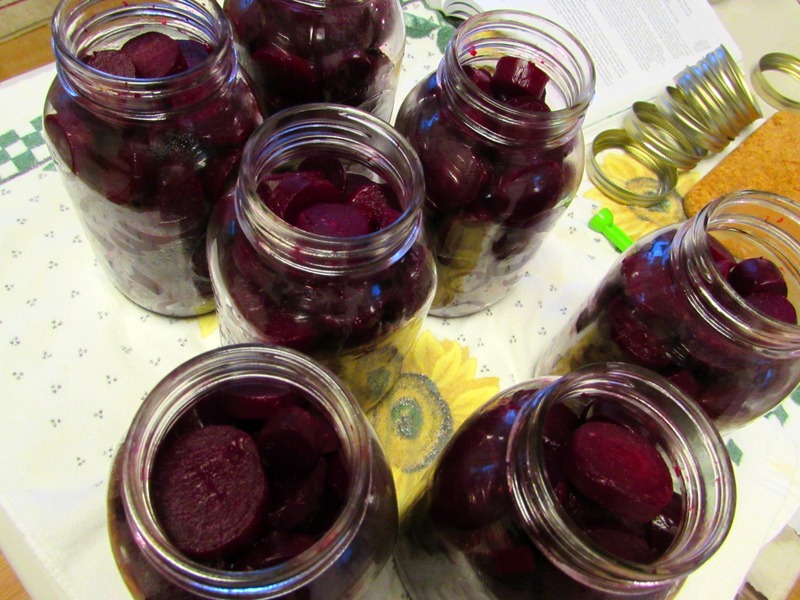 We’ve pickled fourteen pounds of beets and have a second crop planted for an early fall harvest. 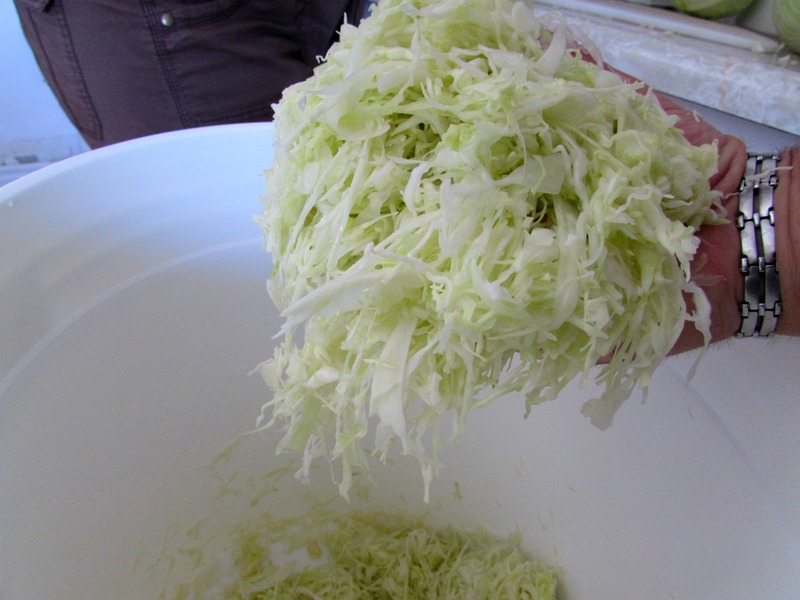 and have about ten pounds of cabbage fermenting for sauerkraut. 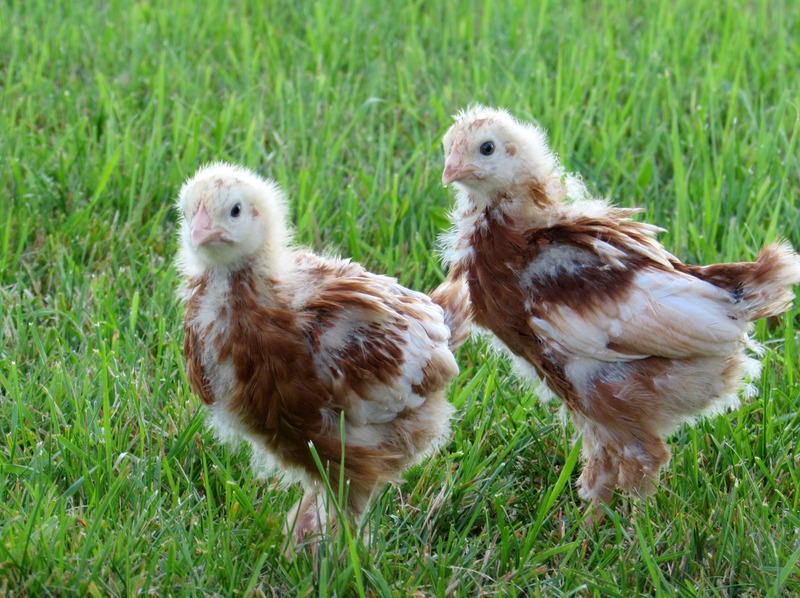 So while we’re not entertaining guests, or fishing, or tending to the vegetable garden we also have our chickens. 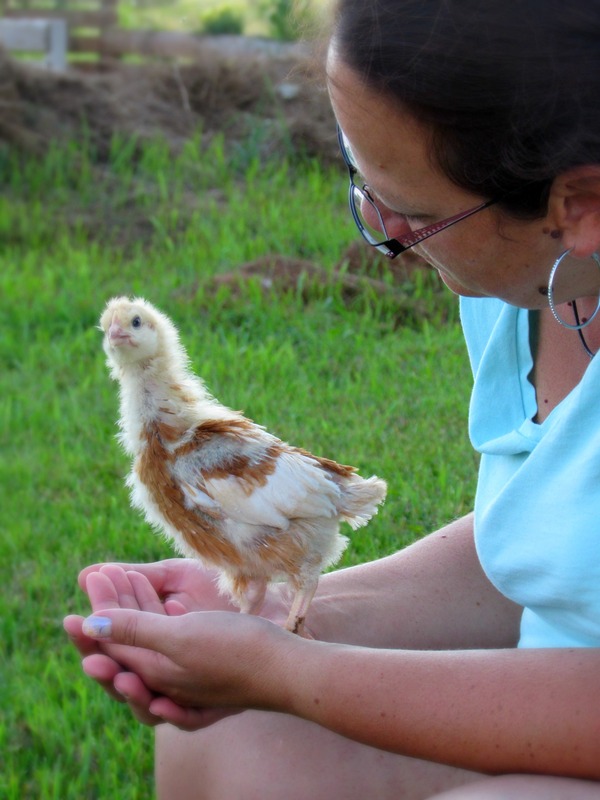 We now added six laying hens to our family so we quickly built a brooder for the chicks and Vanessa and I are currently building on a small coop from some of the reclaimed wood from the renovations on the house. So needless to say our month-long absence is not the result of not having anything to write about, but rather the opposite – we’ve just been too busy to keep up with everything. Hopefully we haven’t lost anyone along the way. It snowed again last night. And all day today. Again. It started around bedtime. It woke me at 1:30. And 3:00. And 4:00. 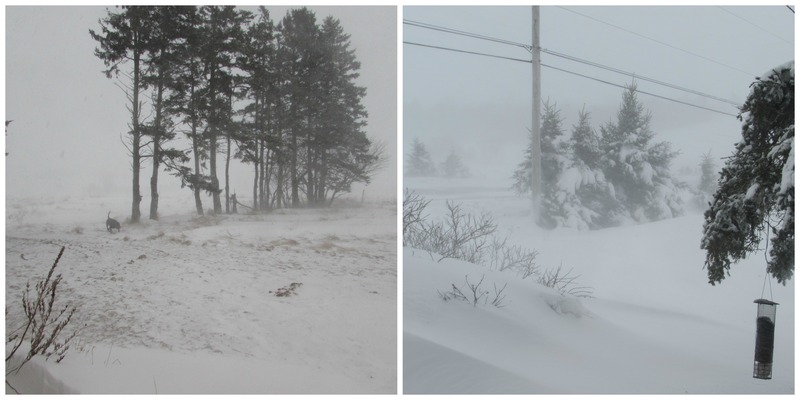 I would say it was the windiest storm we’ve had since arriving on PEI. 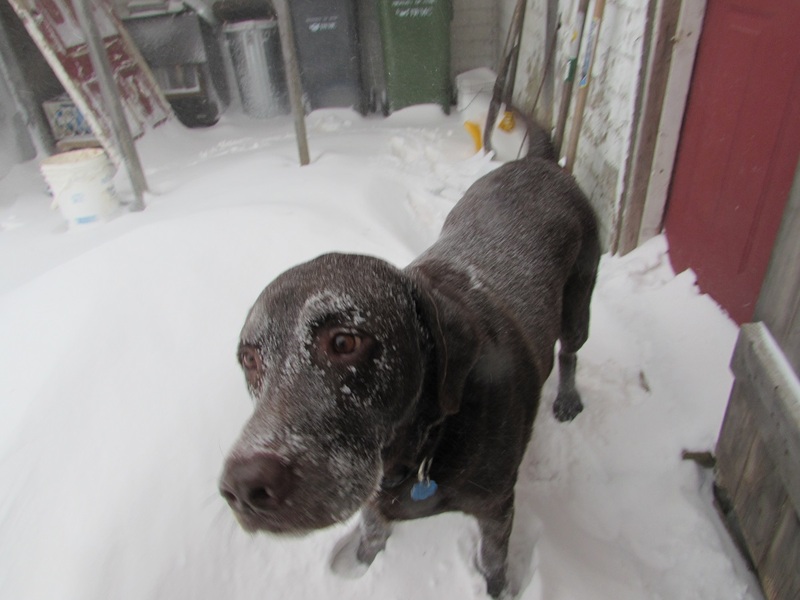 They were predicting 35-45 centimeters of snow but it’s hard to say exactly how much we actually got. The snow falls sideways around here. I think it’s got something to do with the gravitational pull on the east coast. Our backyard is relatively bare of snow, but the front is another story. 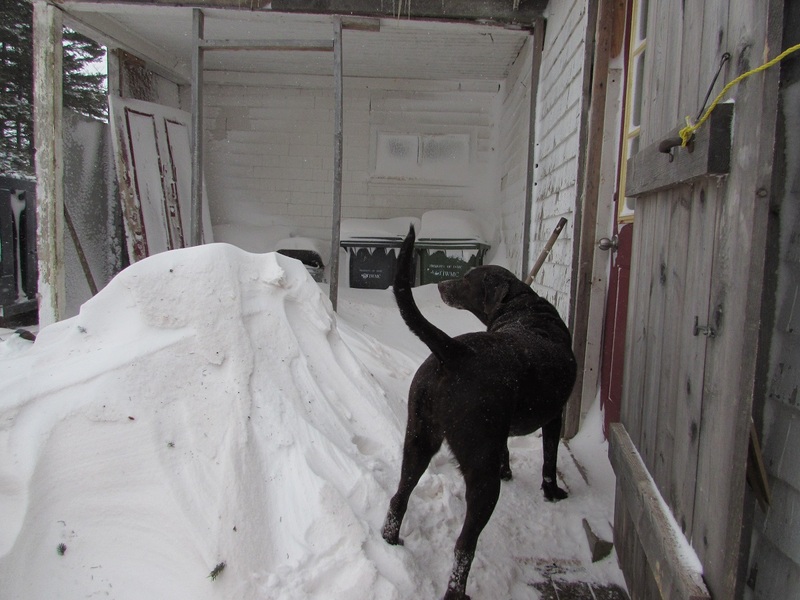 We have two driveway markers at the end of the driveway – they’re almost 3′ high and are currently buried under the snow. 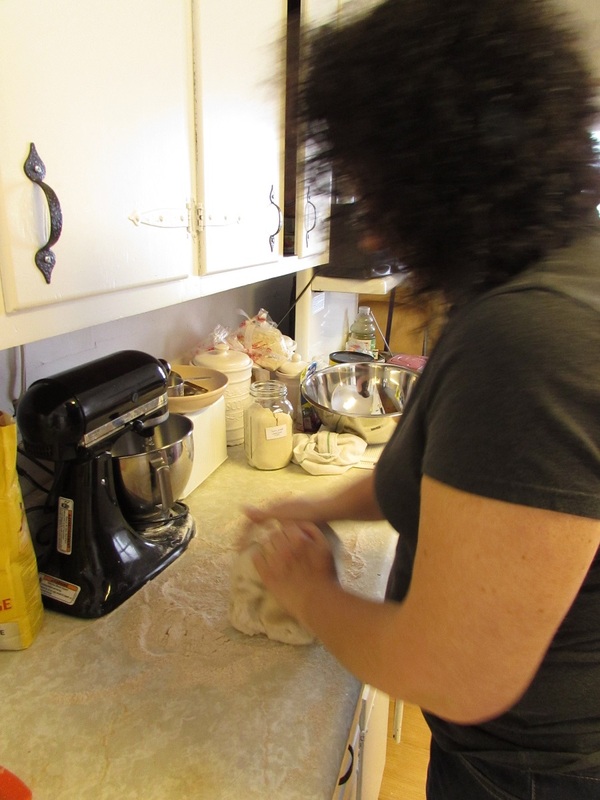 So today, as usual on a snow day, we spent our time in the kitchen. 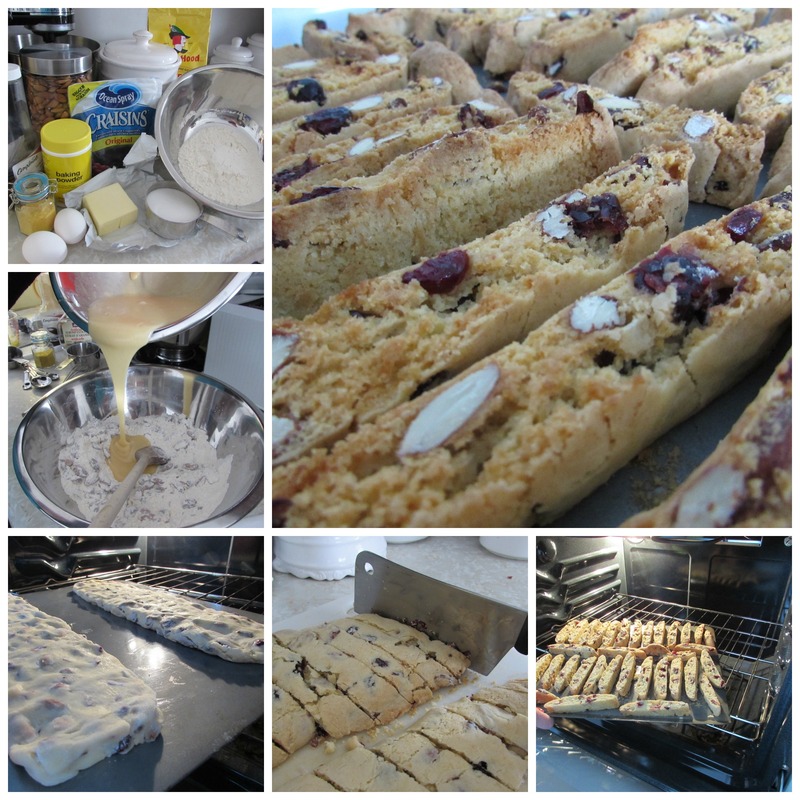 Vanessa was baking – biscotti and coconut tea buns. 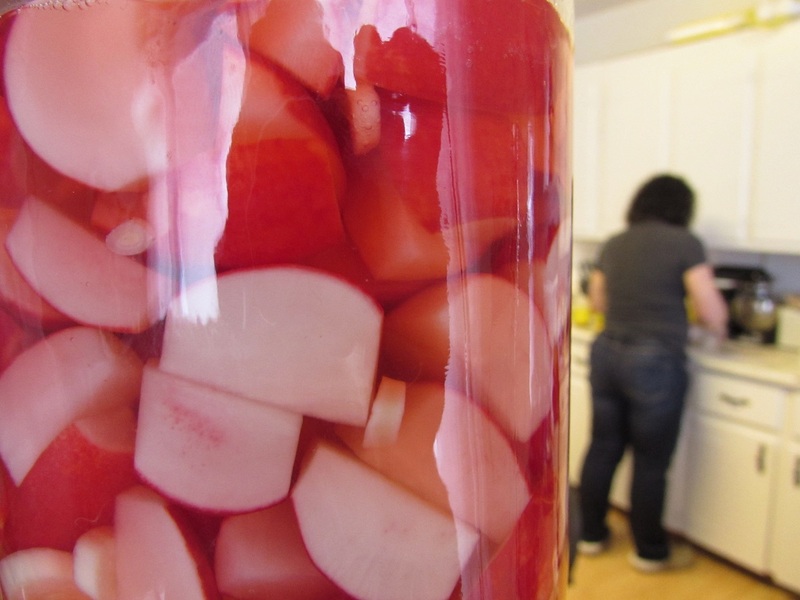 I made another batch of the pickled radishes I wrote about on our last snow day. I also dehydrated some fruit. 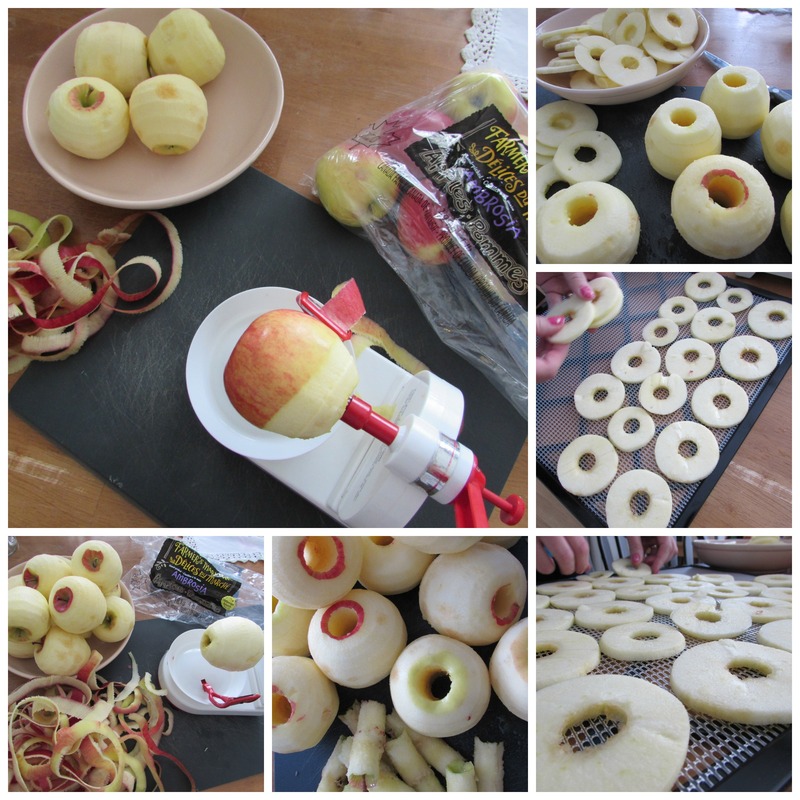 The supermarket had apples on sale, so I made some apple chips…. ….and some banana chips. I also love dehydrated pineapple – dried until just chewy. The flavors are so more intense. You really only need/want a couple of pieces. 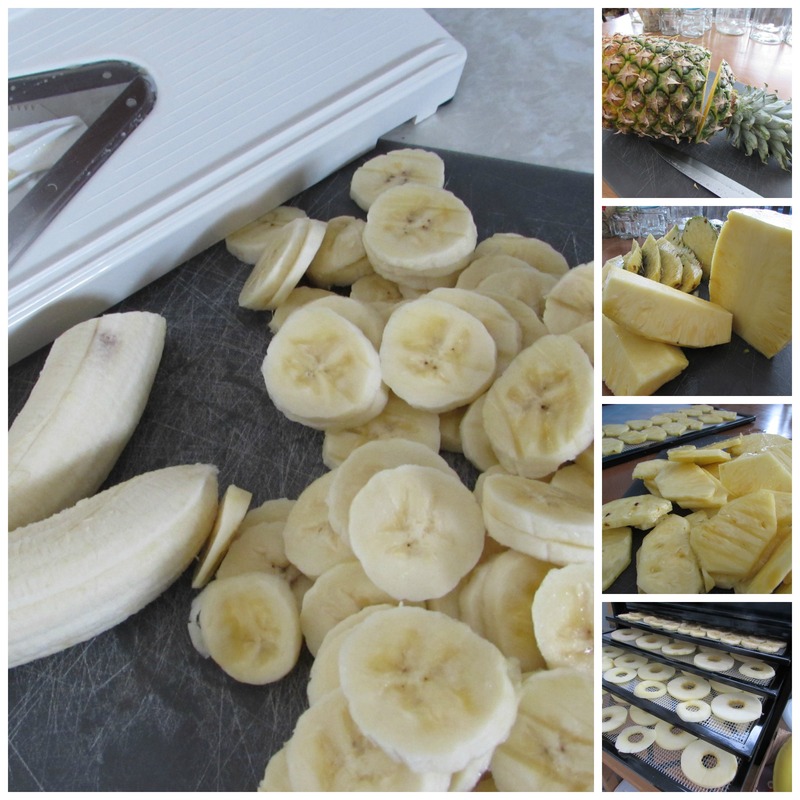 Dehydrating these fruits takes anywhere from 8-16 hours. Once done, I’ll post some pictures of the final product on Facebook – so be sure to find Our Old Island Home on Facebook and “Like” it (if you haven’t already). For now, I just keep reminding myself Old Man Winter’s days are numbered. Spring is only a month away. Tomorrow we shovel. Then demo will continue upstairs. Until then, I will conserve my energy and nourish myself on biscotti and tea biscuits. Happy Family Day / Islander’s Day, everyone! So the first major winter storm of 2014 hit us today. Actually it continues to hit us. As I’m typing, the wind is howling and the snow is blowing. It’s not even fit for a dog today. So demo and cleanup is ruled out. Even though we filled our first disposal bin yesterday and managed to get an empty one exchanged before the snow started this morning, there’s no way I’m hoofing any garbage outside today. So what’s one to do when the weather makes a detour to your plans? You roll with it. Whenever we get house-bound for any reason, Vanessa goes full-on-baking-mode. Today was no exception – the jar of fresh biscotti and a couple loaves of homemade bread on the kitchen counter proves that. 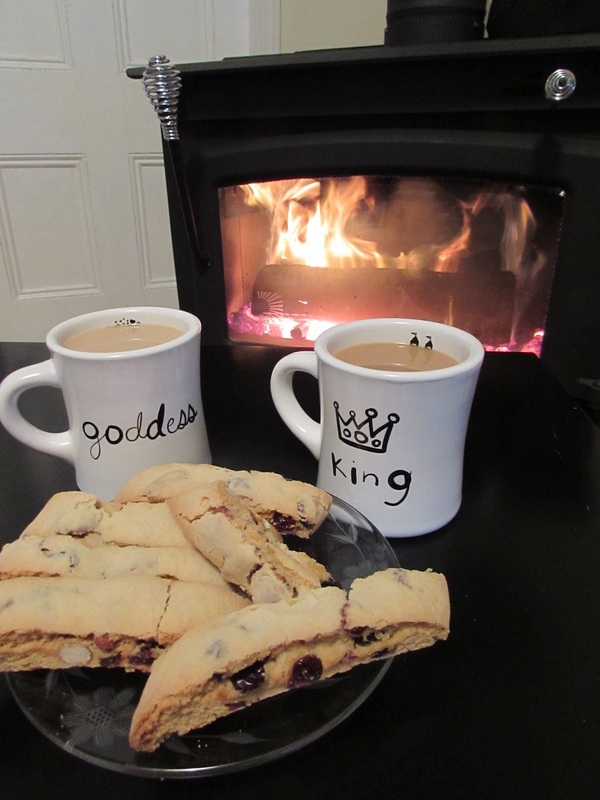 And as much as I’d like to just sit by the fire with a coffee and some of that biscotti – I kept busy too. 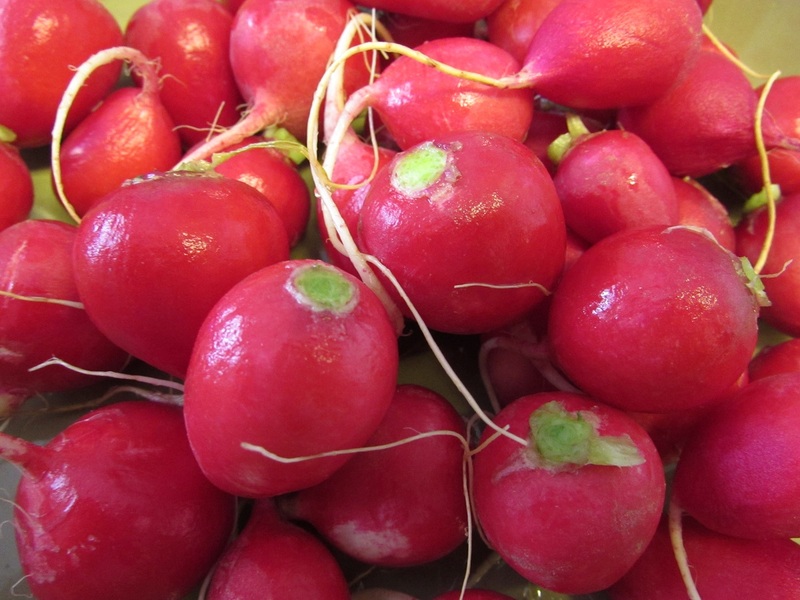 We bought a few bunches of fresh radishes this week to attempt something we hadn’t tried yet – pickling them. And this is about as easy as it gets. 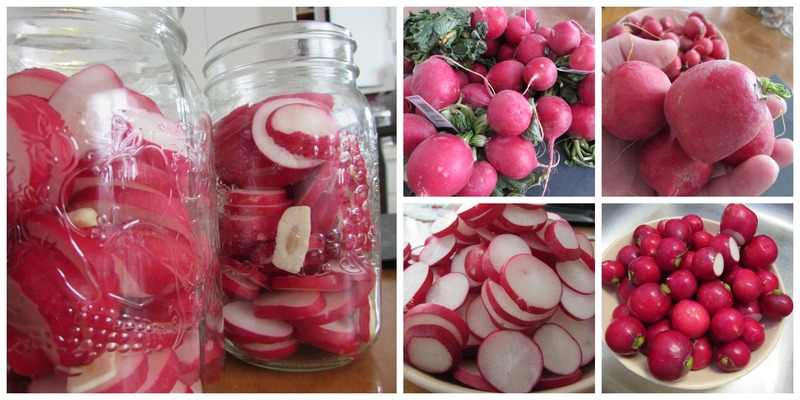 Wash the radishes, cut off the tops and root “tails”, quarter them and add them to a mason jar. I’m sure slices would be fine – and probably easier for sandwich stacking, too. 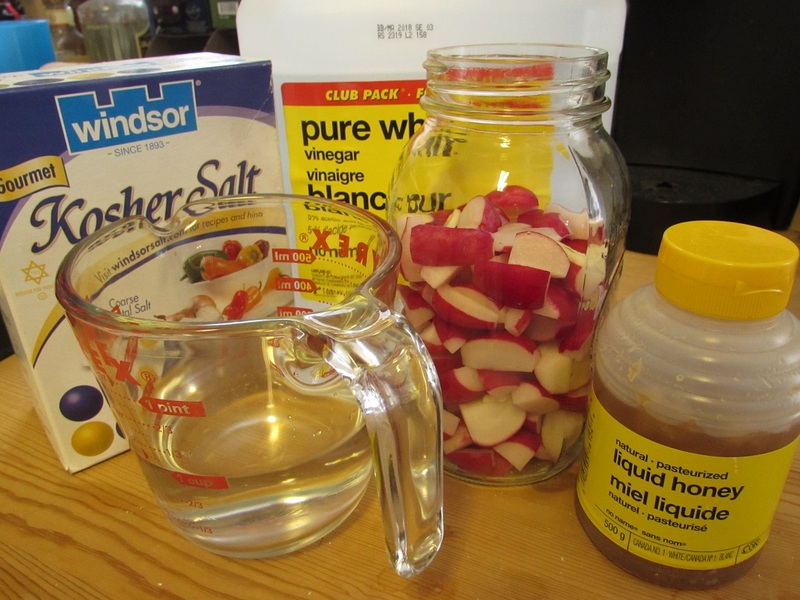 In a small saucepan, boil 1 cup vinegar (cider vinegar would be nice, too), 1/2 cup water, 2-3 tablespoons honey (or sugar), 1-2 teaspoons salt and two or three cloves of sliced garlic and pour into the radish-holding mason jar. Allow to cool and store in the fridge. 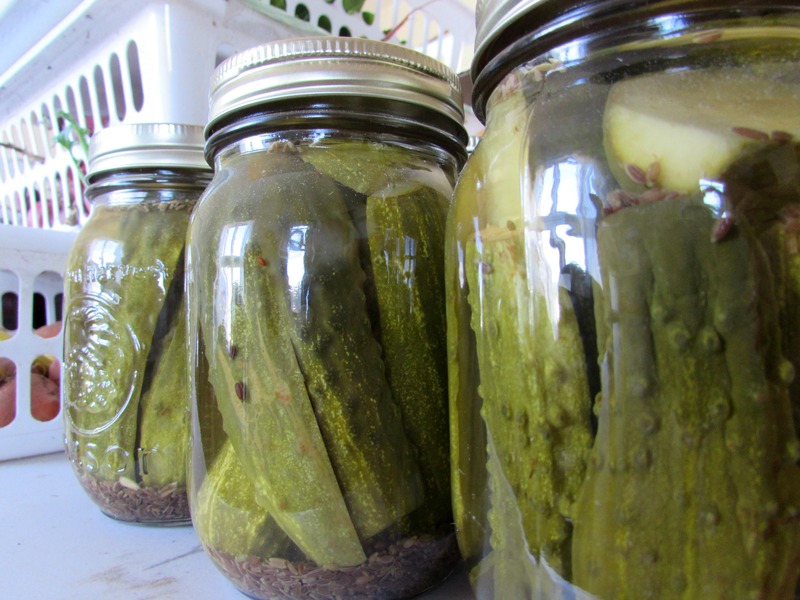 We didn’t water-bath these pickles for long-term storage – it didn’t seem necessary as we only one made one jar. And to be honest, we’re probably going to eat all of these by the weekend, anyhow (they’re that good). 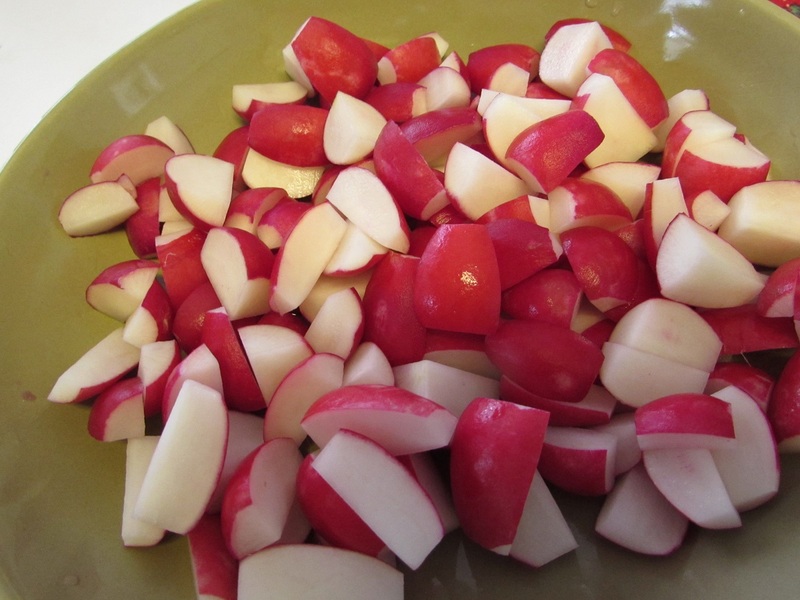 The radishes have a nice, peppery/pungent flavor that’s not like a typical pickle and retain they their crunch (because they’re not cooked, as such). 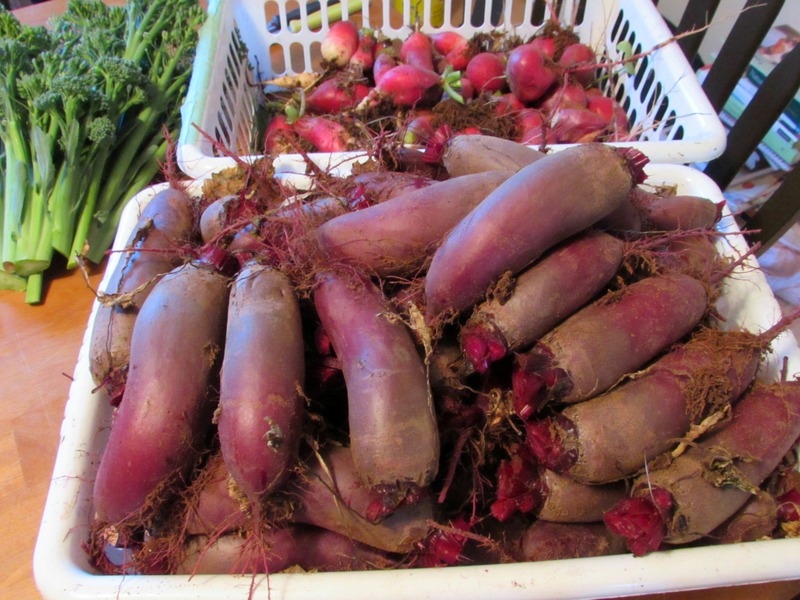 Guaranteed, we’ll be making these in a large batches come the spring with the radishes we grow in our own garden. So, as it turns out, snow days aren’t so bad. If it means you can’t do Plan “A”, there’s always Plan “B”. And when you’ve finished Plan “B”, move on to Plan “C”.